Four years. 7,000 members. 80+ countries represented across the member community. 50 case studies and sparks. What started in 2015 as an idea over beers has grown into an ecosystem that’s changing the field of HR/recruiting. As shared in our last HROS community blog post update, it is time for us to pass the adventure torch to an operating board. It’s been an incredible journey to lead this initiative. We’re grateful for the support and your willingness to break down walls to come together with your peers to advance the field. After we get this board orientated, we’ll be joining you as active community members and evangelists dedicated to helping the new board blaze a path into the future for HROS. We’re thrilled to introduce the new HR Open Source operating board! As a recap, the new board will be composed of four operating committees - Governance, Content, Community, Marketing & Partnerships. Each member will serve a two-year term on a volunteer basis. The group will be led by two Co-Chairs who will quarterback our folks to ensure everyone is aligned and enabled to execute their strategic goals with the community. We were fortunate to receive some fantastic interest from our community when we put a call out for applications. Our aim was to assemble a board with experience spanning disciplines, geographies, backgrounds, and experience. Without further adieu, please join us in welcoming our inaugural board members! Johannes is a HR Business Partner at Spotify, supporting their global technical organization. He’s also the Co-founder of HR Sweden - one of Sweden’s biggest HR communities. He’s passionate about all things HR. He’s better on skis than most and a passionate runner. He’s looking forward to growing the HROS community and helping level up HR’s game and capabilities. Johannes lives in Stockholm with his two children and wife. Elaine brings over 15 years’ experience working across a variety of industries from tech to retail to digital and most recently, agriculture/fast moving consumer goods. In her current role, Elaine is the VP, People & Experience at Pure Sunfarms Corporation. Pure Sunfarms is a private joint venture; vertically integrated, large-scale, low-cost supplier of high-quality cannabis to the Canadian adult recreation market and backed by one of North America’s leaders in high-tech greenhouse growing. At Pure Sunfarms, Elaine is instrumental in the creation and success of the executive team and culture as we navigate a new industry with Canada leading the world as pioneers in this space. Elaine is a seasoned Human Resources professional and senior leader with experience from organizations in all phases: infancy & start-up to growth and acceleration and through re-invention and transformation. On a personal note, Elaine and her husband Nate are active in raising their family of 2 young boys (Wesley & Wyatt) and their Bernese Mountain Dog, George Michael. As a passionate people professional, Erika believes in the power of sharing knowledge. She brings more than a decade of experience working in recruiting, retention and culture development among diverse teams both in Asia and Europe. 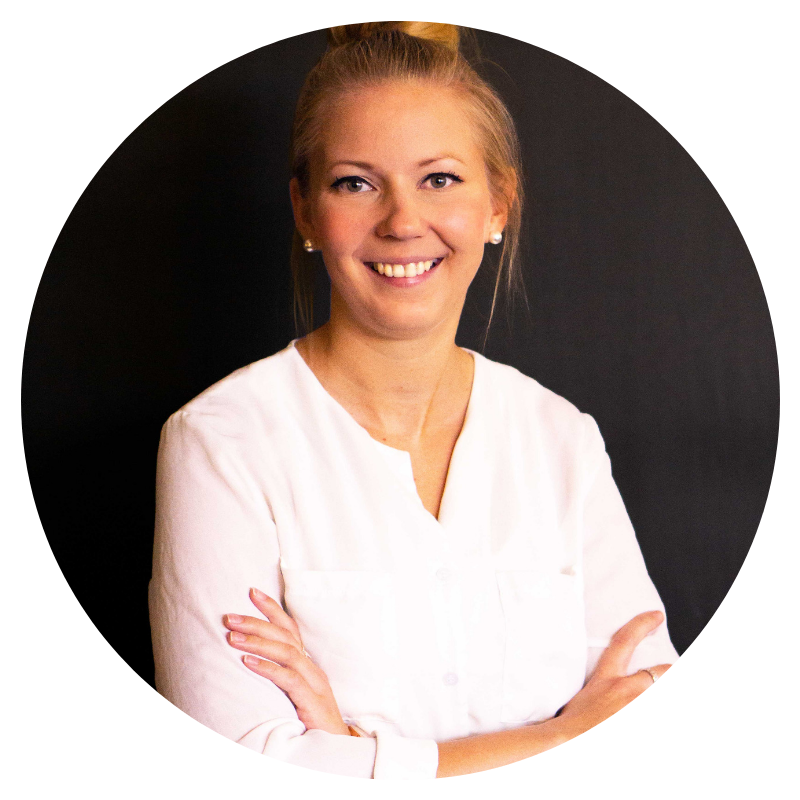 Currently, Erika works at Blacklane as a Director of People and Culture focusing on global expansion and creating a culture around remote work. Erika holds a Bachelor of Business Management from Haaga-Helia University of Applied Sciences in Finland and a Master of Science in Management from IÉSEG School of Management in France. Brenda Rigney is a disruptive operations executive with experience in retail apparel, video gaming, cooperative banking, hospitality, and home care services. A leader of corporate operations teams of specialists in Digital Marketing, Retail & Franchise Operations, Human Resources, Sales, Information Technology, Communications, and Call Centres. Brenda’s business impacts are eliminating redundancy, automating antiquated systems and concentrating efforts on business solutions that accelerate organizational growth. Brenda works with purpose-led companies who want to align communities with business so that we leave the world and people in a better place. Jasmine is a Recruiting leader turned HR nerd and someone with great passion for optimizing the people and recruiting function with tools, programs, and process. Over the last 7 years she’s had the privilege of gaining diversified hiring experience in a range of companies from tech unicorns and scale ups. In her current role as Head of People at a new startup in Ann Arbor, she looks forward to building and scaling a progressive people function that incorporates everything she’s learned in my career, as well as emerging practices from the broader HROS community. As a graduate of the University of Michigan she’s a true bleeder of maize of blue. Currently based out of LA, I had previously been living in Medellin, Colombia for the past three years. I come from a marketing and recruiting background and have always worked with startups based in both NY and in Latin America. Currently, I am a Talent Acquisitions Manager working for a fast-growing NY-based startup, ALICE, and also running remote employee experience initiatives as well. George LaRocque, Principal Analyst and Founder of HRWINS has more than 25 years in the HCM industry. A former practitioner in talent acquisition, talent management, and HR, he turned technology vendor executive for some of the market's largest HR technology brands. Now an HCM market analyst and advisor focused on users and developers of HR technology, he is the publisher of HRWins research and reports on workforce trends and related innovation in tech. He helps employers understand the trends that are impacting their workforce today and in the future. He helps HR service providers and technology vendors with a unique perspective on the HR customers and the changing workforce. Mary is a talent strategist and business leader with over 15 years' experience in helping organizations achieve their goals. After working on the Operations side of start-ups and small companies, Mary landed in HR by way of learning and development, with extensive experience in leadership and organizational development, coaching, key talent planning, performance management, business partnering, HRIS, process and policy creation, and instructional design. Mary has worked in a number of industries and companies, from privately held small start-ups through global publicly traded corporations. She has held jobs of increasing responsibility throughout her career, both as a people manager and a key member of project teams tackling some of the challenges of a business going through massive change. Currently, Mary is a senior advisor with IA-HR. In addition to her work within companies, Mary authors a leadership development blog to continue the dialogue around the challenges of leadership – both being a leader AND being led. Mary is also the co-chair of the Denver chapter of DisruptHR. Kelley played an instrumental role in developing the Business Partner function at Duo Security, a hyper-growth SaaS “unicorn” in Michigan. She has lead the strategy and growth of HR teams in multiple industries ranging from advertising, public relations, retail, and law. Kelley is committed to making the businesses she supports successful through employee engagement and understanding the needs of the business. She creatively looks for the best solutions when answering the nuanced business demands instead of applying a one-size-fits-all approach. Robin Schooling, Head of People with Strio Consulting, has spent her career in HR and Recruiting with the stories and battle scars to match. She’s a regular speaker to global HR and business audiences, has a long-running HR blog at RobinSchooling.com, and has written for Recruiting Daily, Fast Company, Certified Magazine, HR Examiner, SHRM and other sites. Since 2018 she’s been co-host of DrivethruHR, one of the longest continuously running HR radio shows/podcasts (since 2010!) and she manages the Carnival of HR, a long-running blogging carnival. Robin lives in Baton Rouge, Louisiana where she’s a fervent and unapologetic New Orleans Saints fan and continues on her quest to search out the perfect French75. You can connect with her on Twitter and LinkedIn. Bill Boorman has worked in and around recruiting for the last 35 years. He is best known as the founder of #tru, a global series of unconference events, and as a speaker and advisor on all things technology. His personal mission is to make recruiting better. Chris has 17 years in the HR & Talent Industry. Started off in Agency, where he was part of one successful IPO and one MBO, before moving to corporate. Chris has formed a niche for himself as being the go-to person for large scale implementations & transformations, having successfully delivered one 53 Country HRIS implementation, a 44 Country HCM transformation and he currently Heads up Workforce Strategy and Planning on the third largest Mega Project globally. As thrilled as we are about the geographic, gender, function, and seniority diversity of the new board - we own that we fell short in our POC representation goals. We wanted to give the community an opportunity to raise their hand for these roles, so the process was entirely built around self-nomination. Unfortunately, that self-nominated talent pool lacked broad representation. We plan to address this with the new board by creating at-large and project teams where we can proactively recruit to ensure better representation. We’ll be working with the Co-Chairs and board members over the next two months to onboard and knowledge transfer to help them hit the ground running. The new board will provide an update on their goals and progress in Q2. It’s been an honor and a privilege. Thank you to everyone for allowing us this opportunity and see you in the community threads.